Halton Borough Council is finalising its plans for the annual November 5th spectacular. This year the ever popular display, themed on children’s animation, will be launched by a new contract partner, Pains Fireworks. Pains Fireworks is proud to be the longest established firework display company in the United Kingdom. History suggests that the barrels of gunpowder used in the infamous plot to blow up the Houses of Parliament were “manufactured by a gunpowder manufacturer within earshot of the Bells of Bow”. At that time the only such business was one John Pain, the founder of the modern day Pains Fireworks. Throughout the hundreds of years that followed, Pains set the benchmark for the fireworks industry in the UK and have evolved from the manufacturing of military pyrotechnics and shop fireworks, to become solely focused on providing the best professional displays around the world. Going back to the first Bonfire Night displays in Halton in 1979 and the old Halton Show at Spike Island, Pains were regular providers for Halton Borough Council with their shows always leaving the public in awe! In more recent times, Pains organised the display to mark the opening of the Mersey Gateway Bridge last year. A dazzling show that all who viewed will no doubt remember for a long time. They were also involved in providing pyrotechnics fit for a Queen, at the official royal unveiling earlier this year at Spike Island. Tom Cranmer, from Pains Fireworks, who will launch the show, said: “Following the success of last year’s display to open The Mersey Gateway we’re extremely excited to be returning to Halton for this year’s bonfire night celebrations. Here at Pains, we are extremely passionate about the shows that we perform and our historic association with this display makes it even more special. This year, the spectacular display will be timed to songs from children’s animation. The crowds are sure to be singing along at some instantly recognisable hits, perfectly accompanying the spectacular show that will light up the sky. 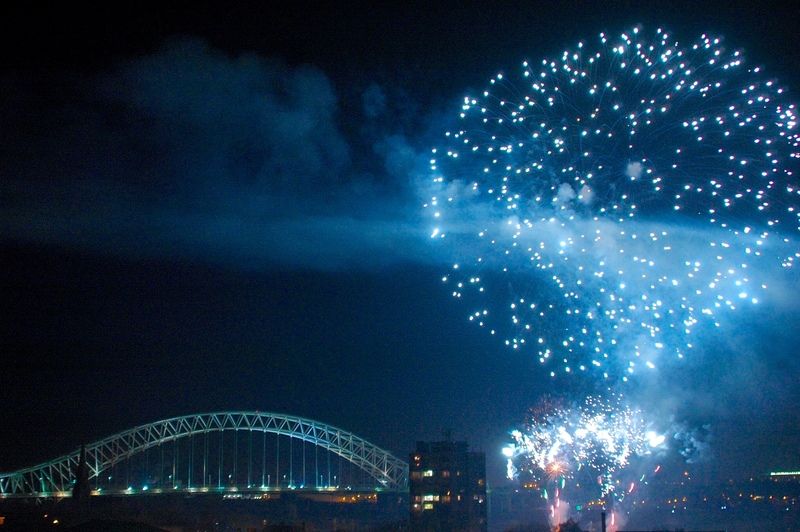 Cllr Eddie Jones, Halton Borough Council’s portfolio holder for Events, said: “We’re very excited to have Pains Fireworks on board following last year’s bridge opening extravaganza. We hope this will be the best November 5th display in Halton to date. The display, viewed by tens of thousands of spectators from vantage points across the Borough, starts at 7.30pm with music from 6.30pm, with the official viewing areas being Mersey Road, Runcorn and Victoria Promenade, Widnes. Next articleHeadz Up in Halton!